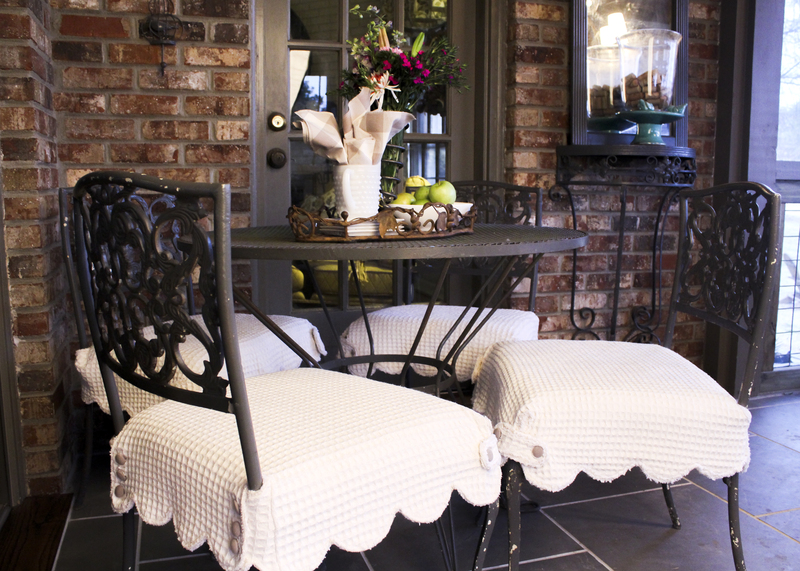 We've made slip covers for these sweet little chairs that are reversible so they can be changed out for the different seasons. Read all about it on the blog HERE. 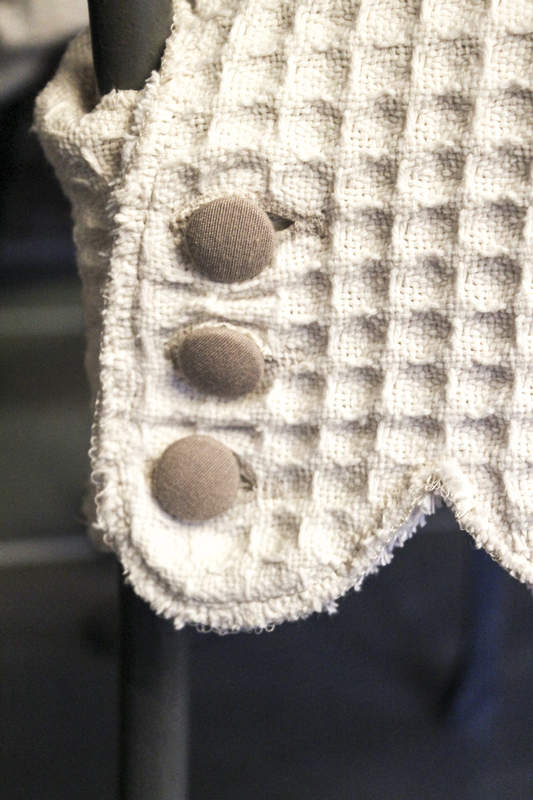 Check out our Step-by-Step instructions for the scalloped bottom version using coverlets. Chenille-It Bias Trim in both sizes 3/8" and 5/8"